Endless robot configurations and combinations! The Complete Kit includes over 100 EZ-Bits: batteries, cameras, blocks, servo-motors, EZ-B v4/2 Wi-Fi Robot Controller and more. Powered grippers allow your robot to pick up and hold objects. The wheels and treads of the Rover are adjustable in height to modify the ground clearance. Humanoid feet, body and head to build a 2 legged walking pal. Experience impressive vision tracking of objects, faces, colors and more. 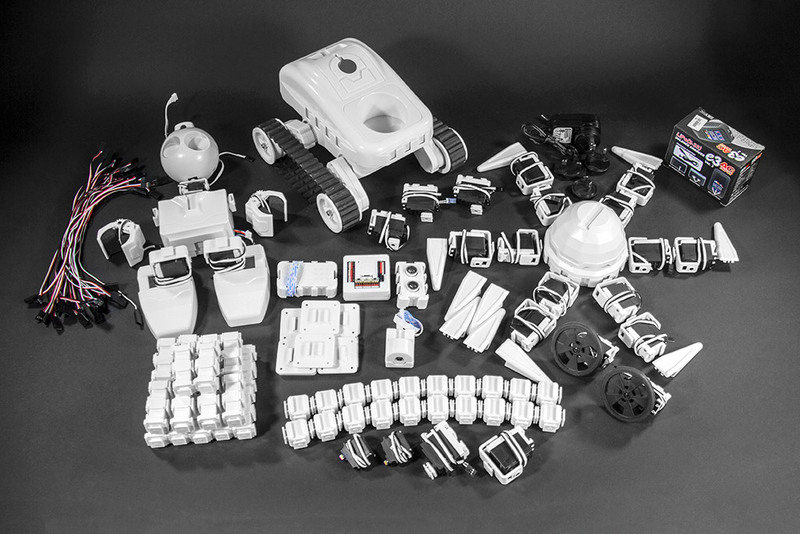 The Complete Kit includes everything you need to create the popular EZ-Robot Revolution Robots. Build a humanoid that walks right away. This kit includes apps for walking, dancing, and even playing the piano! The EZ-Builder Software includes an amazing and easy-to-use animation GAIT feature called Auto Positioner. 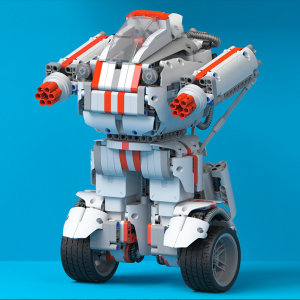 This allows you to create movement animations for your robot to walk, dance or give high fives! The animations can be triggered by other input controls, such as Speech Recognition, Vision Tracking, Joysticks, Wii Controllers, and more. Robots wouldn’t be robots without cameras for vision recognition. This kit includes computer vision cameras to track and learn colors, objects, faces, motion, glyphs, and more. 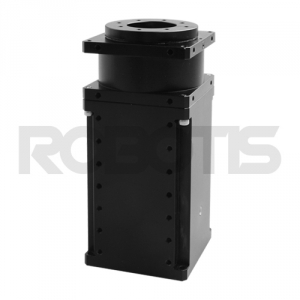 Inside the HDD servo-motors are full metal gears and real ball bearings that lift 19 kg/cm! The metal gear and ball bearing internals will withstand a high load. These servos have enough strength to let your robots walk, move or lift.